Jeannine Goetz is an associate professor in the Department of Dietetics and Nutrition at the University of Kansas Medical Center. She received a bachelor’s degree in dietetics in 2001 from the University of Central Missouri and completed her dietetic internship and master’s degree in dietetics and nutrition at the University of Kansas in 2003. She completed her doctorate in therapeutic science from the University of Kansas in 2008. 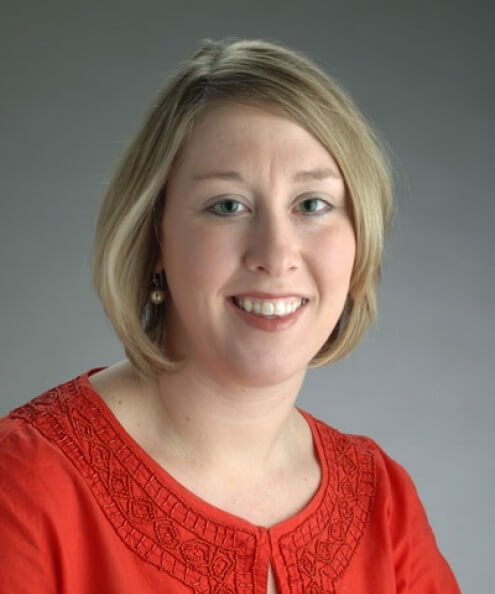 Goetz currently teaches graduate level courses and serves as the KUMC program director for the Master of Science in Dietetics and Nutrition program through the Great Plains Interactive Distance Education Alliance. Goetz also serves as the KUMC dietetic internship program director. Goetz has 15 years of experience working within the research field with expertise in weight management, food security and dietary assessment. She is interested in studying different weight management delivery mechanisms as well as tailoring these interventions for special populations such as those with serious mental illness and intellectual and developmental disabilities and those who are low income or food insecure individuals.